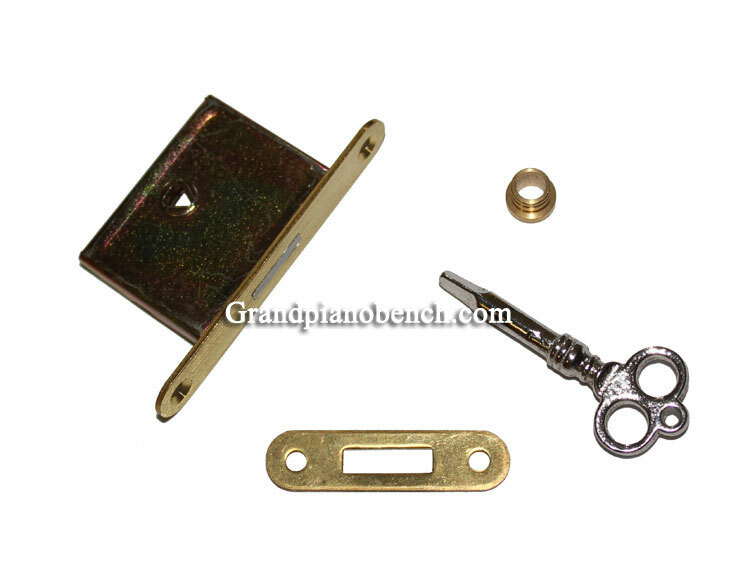 The complete Piano Lock Kit includes the Lock, Triangle Key, Striker Plate and Escutcheon. 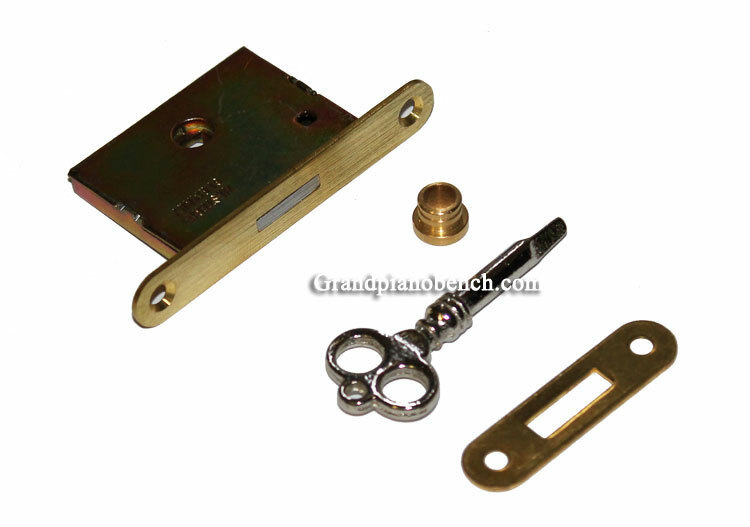 The Striker Plate, Lock Plate and Escutcheon are made of solid brass. Made in Germany. Distance from top of lock plate to the center of the key hole is 7/8"